D.B. 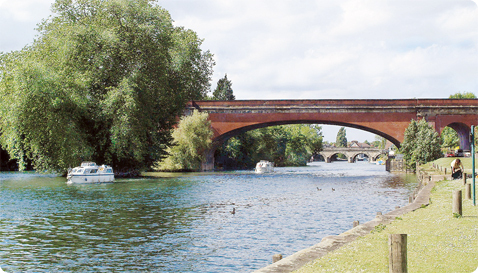 Marine is located on one of the most picturesque reaches of the River Thames at Cookham, bordering the Chiltern hills. Prime moorings offer a quiet and peaceful retreat in a beautiful location within easy reach of Windsor, Cliveden, Marlow and Henley. Our boatyard, operated by factory trained marine engineers, provides a comprehensive service and repair facility, winterisation and anti-fouling. We can lift boats up to a maximum weight of 10.5 tonnes with our new Terex crane. Two fully equipped vehicles provide a mobile workshop facility, offering servicing and repairs to boat owners and boatyards alike. For details of our mooring fees, facilities and service costs contact our service department on 01628 526032. Our factory trained engineers have all the tools and diagnostic equipment necessary to keep your engine and drive in perfect shape whether you use our boatyard facilities or our mobile workshop.